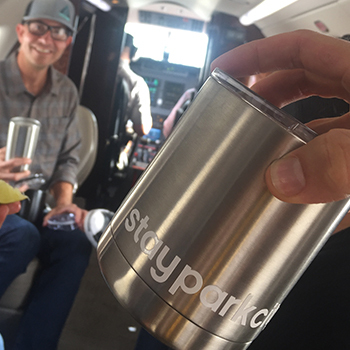 Anyone can experience the beauty, adventure, and excitement of Park City. 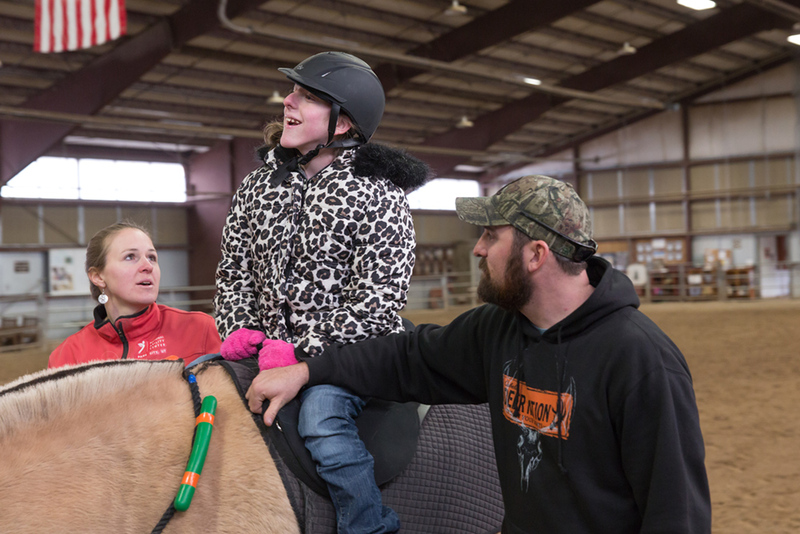 For individuals struggling with disabilities, it might seem like skiing or mountain biking adventures are out of reach. 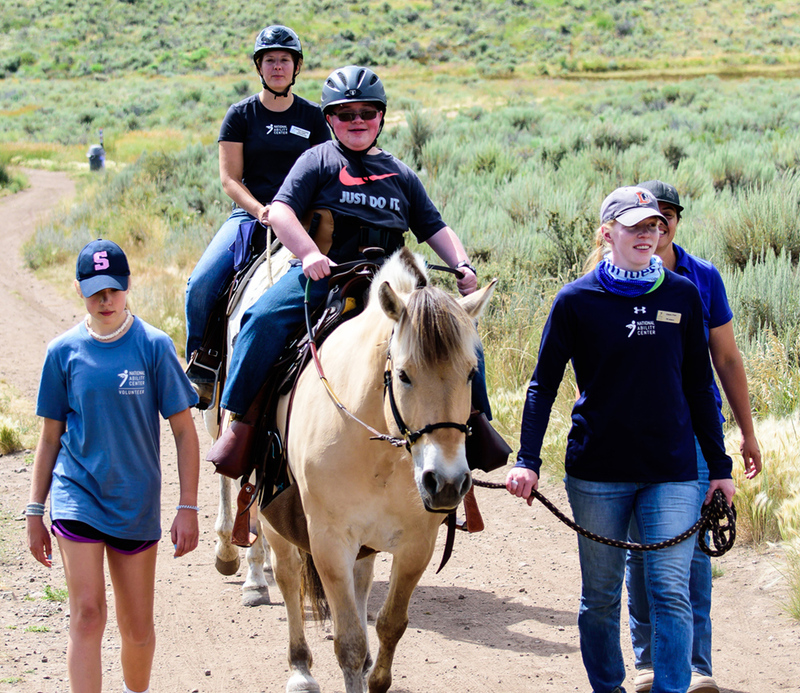 One Park City organization, the National Ability Center (NAC), works hard to ensure that everyone has the chance to enjoy the outdoors to the fullest. 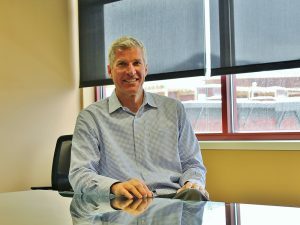 Michael Kerby, president of the board of directors at the National Ability Center, spoke to us about what inspired him to get involved, how the NAC has impacted his life and the lives of others, and the future of their Park City programs and facilities. Thank you for taking the time to speak with us, Michael. To help familiarize our readers with your work, will you share what the National Ability Center does? Could you give us a brief overview of your mission? Basically, in a simplified form, it exposes people of all abilities to a long list of outdoor programs. I think many people who have a disability think that, ‘well, my mountain biking is over, my skiing’s over’ and they kind of fall into a very limited view of themselves based on categories—‘this is what I can do and this is what I can’t do.’ The mission at the NAC is to tell people that there are no more limits, and there’s nothing you can’t do. The growth of the NAC’s been phenomenal over the last 7-8 years, so it’s pretty exciting to be part of that. I started out just attending one of their events, through a recommendation from a friend, and I was asked to join their finance committee. That lead to being a board member, then the board president for the last two years. 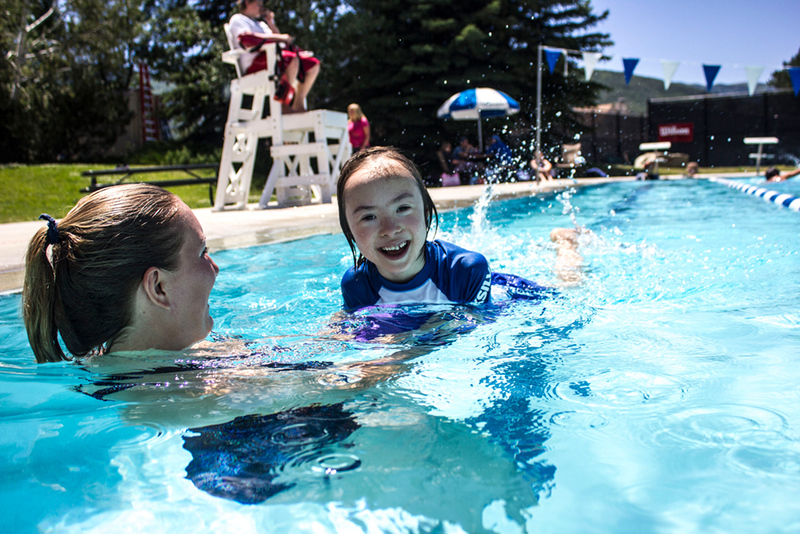 What was that first event that you attended for the National Ability Center? Red, White, and Snow. We’d just moved from Seattle—we’ve been here about 10 years now—and we were pretty active in different organizations doing what I’d call ‘writing the check.’ And we were happy to do it, because I had my own company and I was limited on time, but I wanted to give back. 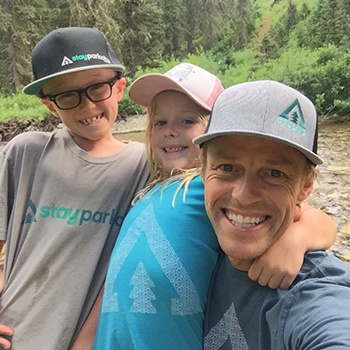 When we moved here to Park City, my wife Michelle and I both decided that, ‘okay, let’s focus on one organization and do more hands-on giving.’ We’re still giving back and writing a check, but it’s more hands-on, which keeps you going. It keeps everything in perspective when you can see the difference that’s being made. You’ve been involved for almost 10 years now. There’s an impressive array of activities on the NAC’s website; you do a lot of stuff, covering a very wide range all over Park City. How do you arrange the logistics for that many different kinds of activities? Most of them require specialized equipment or venues. How do you coordinate all of that? Thankfully, we rely heavily on our volunteers. Throughout the year, we have almost 1,700 volunteers. We could not do it without them. Our staff is limited size based on our budget, and those volunteers help us logistically. Let me give you some idea: obviously we have therapy with the horses. For one participant to be on that horse, it takes four to five individuals. That takes quite a team. And then everybody always looks at the horse as well and thinks you just bring it out and you ride it. But there’s cleaning the horse, saddling the horse, feeding the horse—there’s a lot of effort that goes into that. Is the horse a volunteer as well? Is that part of the program? We do have volunteer horses. We have our regular group of horses that are permanently with NAC, but we actually have quite a few horses that are donated. They have to go through a pretty strict requirement as far as temperament, and the ability to work with a wide range of individuals. So we have horses that may not pass the requirements. And to further that answer, our ski program is one of the largest programs we have, over at Park City Mountain, and they’ve been a great partner for that. We’re right there on the mountain, so accessibility is right there. It’s one of our busiest programs. Again, a lot of volunteers are necessary, and we couldn’t do it without our local partners. Of all of the programs, activities, and events that you run, what’s your personal favorite? I probably have two of them that are my personal favorites. And I originally got involved just from wanting to give back to the military. It wasn’t just a friend saying, ‘hey, why don’t you go check out the NAC.’ What really drove me to the NAC—beyond that—was what they do with the military. There’s a lot of wounded veterans that are out there; they’re looking for a place to figure out how they can gain their confidence back and do the outdoor activities again. But my two favorites are the mountain biking and sled hockey. Both of those are—you’re surrounded by a group. Sled hockey is very team-oriented. 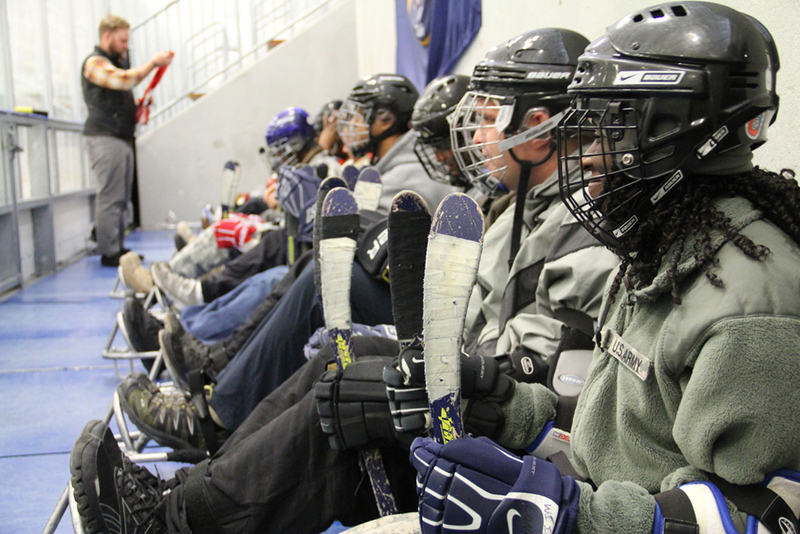 What I love about sled hockey is that when you get on the ice you’re—in almost like a sled—sitting on the ice on two blades and everybody straps their legs in. 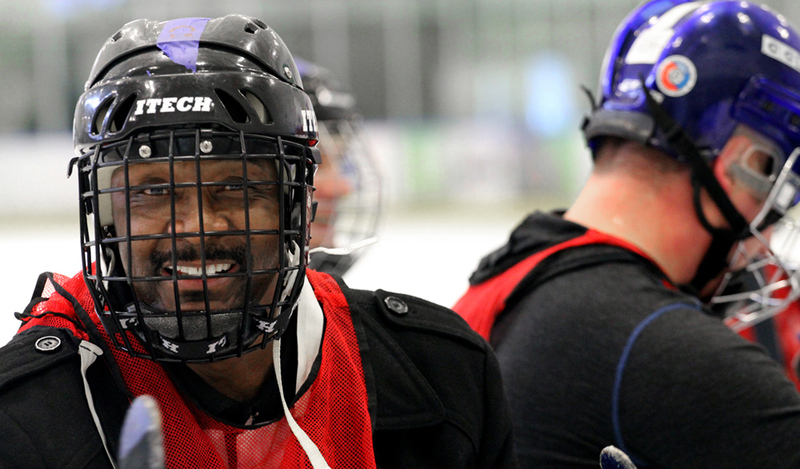 As soon as you get on the ice, everybody’s the same. No one has use of their legs. It’s just a very competitive and fun environment. You talked about the military. Does the NAC mostly deal with those who have received combat wounds or is there, for instance, PTSD therapy? Full range. What we would call a visible disability—and I use the word disability based on the idea that allows people to understand what I’m talking about—but it’s the full range. It could be a double or triple amputee—something that’s visible—to someone that has PTSD. And it’s the full range of the military. It’s active duty, it’s non-active. It’s Vietnam veterans all the way down to our most recent conflicts. Is working with veterans one of your favorite parts of working with the NAC? What is your favorite part of working with the NAC? There are a lot of parts that have what I’d call little rewards as you go along the way. It’s the selfish part of volunteering. No matter what type of week that you’re having, to me, it puts everything back in perspective. But my favorite part of volunteering is the military. I got involved from that standpoint, what really pushed me to the NAC, was I lost my brother in Afghanistan. He did two tours in Iraq, two in Afghanistan; he was a marine sergeant. As tough as that was for our family to go through, I look at it and say, ‘Hey, I can pull something good out of this, but how can I give back to the men and women that are coming back?’ And there’s a lot of them. Thankfully, with medical technology today they’re going to be with us for a long time and we just need to make sure we’re there for them—for the entire span of their life. The NAC is committed to do that. Everybody has this vision of the young marine coming back that was in some type of conflict, 28 years old, maybe he’s missing the lower part of his leg. Everybody forgets that there are other veterans out there that have been wounded. It could be the 55-year-old Vietnam vet. It’s the full range. Being around people who have suffered a lot of loss in their own personal life, I’m sure that sometimes it’s kind of difficult to watch people go through personal struggles. As rewarding as it is to help them, I’m sure there’s some hard parts, too. What’s the most difficult part of working with the NAC? Probably the most difficult part is when we have participants come in, and they’re closed off. Because somebody told them or it’s their perception of, ‘I can’t anymore. I’m not sure I’m even here. I’m looking at a ropes course that goes 30 feet in the air. I don’t have my legs. Really?’ It takes a period of time through our trained staff and our volunteers. What’s amazing about our staff and our volunteers is that they get them involved before they even know it and all of a sudden, they’re starting to open up. And what’s amazing in the activity? It happens much quicker than you think it could. That’s the most rewarding part of it. One of my favorite statements it that typically the injury happened to the person when they least expected it. So why not let the therapy happen when they least expect it? And I think that’s the best therapy of all. We call it a non-clinical setting. You take a seasoned marine or marine veteran and put them in a room with four chairs and four walls and sit them down with somebody with glasses and a tie and typically that marine or army veteran’s going to be pretty closed off. It’s going to take a lot of work. That’s part of the therapy. That needs to be there. But we just add another element to it. And that’s getting them exposed in an outdoor environment and then allowing them to feel excitement, adrenaline, and before they know it, they’re smiling and laughing. And I think that’s the most important thing to talk about the NAC. It’s not just the individual. Typically, they’re with their families. Their support network is involved? Activities are being done with their spouse or children. 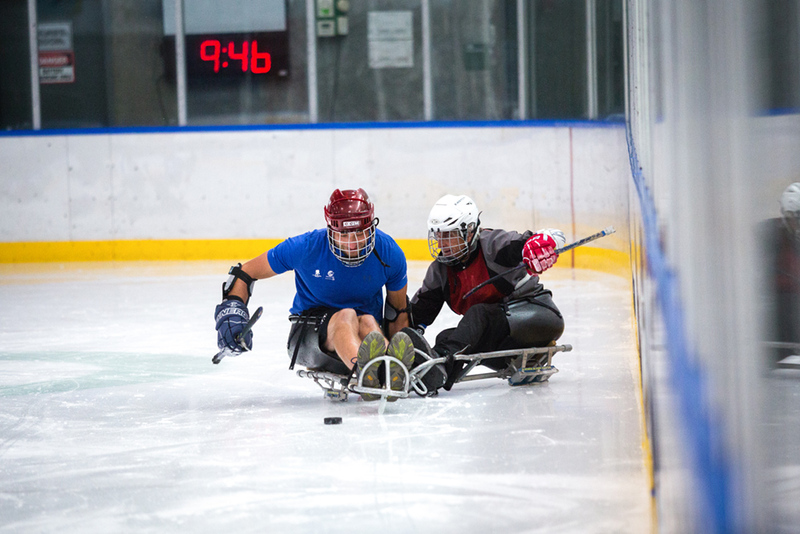 With sled hockey, typically, the participant’s out there and his two kids are with him. That’s the key to what we do. Is part of the mission of the NAC also to help acclimate people to care for those that have injuries—to help them better care for the people in their lives that have some kind of a disability? We don’t specialize in aftercare. There are professionals and doctors that outline that. What we try to do is break down some of those barriers of what they can and can’t do and we leave it up to the family to take it from there. That’s probably the most critical part of what we do. We look at is as we’re part of that therapy process. I imagine you’ve had quite a few exceptional success stories as part of what you do. Is there one story that maybe stands out as particularly inspirational to you or particularly changed your outlook on something as part of your work with the program? Yeah, I think one of the biggest—I think it was one of the first times I volunteered and one of the activities was sled hockey; it was a group of marine veterans. And again, wide range; from visible injuries to non-visible. And you’re always kind of cautious of what to do and not to do, what to say and what not to say. The biggest advice that I can give to anybody is that when you’re around somebody with a disability, just treat them like everybody else. But that was probably one of the most inspiring things that I saw were a group of men and women that didn’t know each other and were kind of standoff-ish from one another as we’re getting ready to put everybody on the rink. And within 30 minutes they’re laughing, playing, joking, checking each other into the boards. Very highly competitive game, and to watch all of a sudden all that to come out within an activity that would never come out any other way was pretty inspiring. What’s always amazing to me is when you see the marine or former military with a visible injury, I’d say 98 percent of them have this amazing attitude. When you can look at that and go, ‘Wow. They are seeing the joy in every day.’ That, to me, is inspiring. 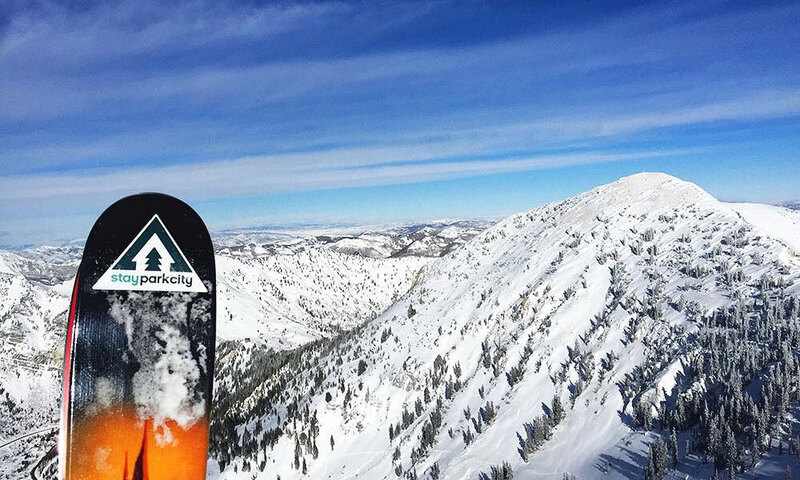 How do you reach outside of the geographical limits of Park City? Most of the facilities that you have are here. How do you coordinate for other geographical locations? All of the activities are done here. Our reach is across the U.S. So it’s mainly groups or participants coming into Park City. We won’t go to New York to do an activity, but we do have participants that come from New York. We literally have people tell us they moved to the area because of the National Ability Center. Because they wanted to put their son or daughter through our programs on a regular basis. We did recently just merge with Splore, another great organization that does what we do, they just did different types of activities and we merged with them. I think they’re celebrating their 40th year. 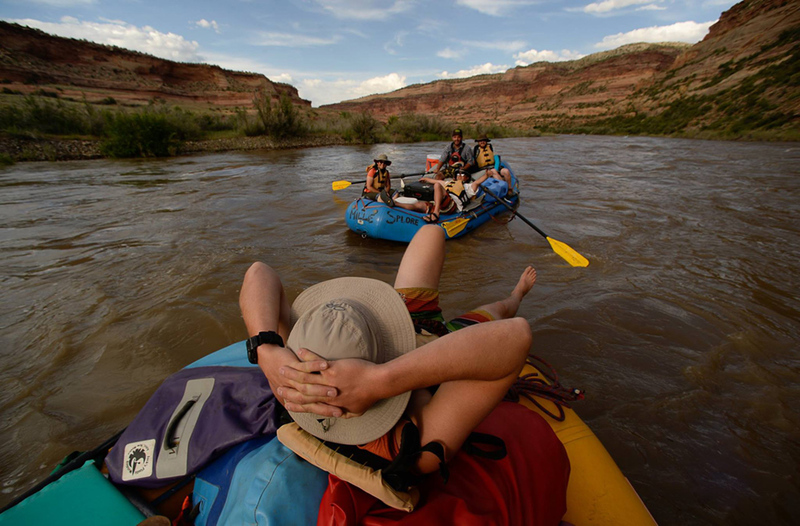 But Splore does rafting and mountain biking in southern Utah. So it allowed us to expand. We’re always looking at how we can expand our programs. That is 100 percent our focus. Everything revolves around the programs. And when we looked at Splore we thought that’d be a great organization to merge with that allowed us to now do rafting, mountain biking, rock climbing—a whole different category that we didn’t have in our arsenal. I heard you’re launching a capital campaign and other opportunities as means to expand that. For instance, you have a facility at Park City Mountain, but I hear that’s about to get considerably larger? We’re working with Vail right now. Vail’s been very gracious to allow us to look at putting the new building there and we’re working with them on that right now. That’ll accommodate our growth on the mountain. Because right now, we’re in a double-wide trailer that’s been there, I think, 15 or 20 years. It’s ready for new life. This will be a much larger permanent building and much more adaptable, too, for our participants. 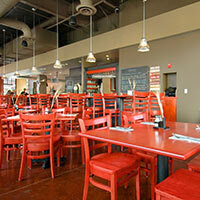 The nature of what you do has a certain amount of financial intensity to maintain some of these facilities. For instance, to take care of horses or have a building on the mountain. How does the NAC support itself? How do people get involved to assist? We’re heavily dependent on donations. We do charge for our programs, to the individual, but it doesn’t cover the actual cost. It’s a subsidized rate. We also give scholarships. We don’t turn anybody away. If somebody comes to the NAC and says, ‘Hey, I want to do these programs for my child and I can’t afford it,’ we will never turn them away. We will offer the scholarship and pay for it. So we’re heavily dependent on donations. We have five major events throughout the year ranging from Red, White, and Snow to the barn party; they’re all listed on our website. That’s where we gain most of our funding: through private donations and our events. We do apply for grants throughout the year. Sometimes those are hit or miss, whether we receive any of those or not. So, it’s the general public. For volunteering? The easiest thing to do is go on our website. You can fill out an application. It lists all of our events. It’s a great way—a fun way—to see what we’re all about through our events. We always welcome you to just come on down to the ranch and our campus and any one of our staff or our volunteers would be happy to give you a tour and talk to you more about the NAC. What’s the one thing you always need more volunteers for? Everything. It’s non-stop. Everything, from our events that we have to put on, to every one of our activities. Summer is obviously our busiest time. If you come down to the campus during the summer you’ll get a good snapshot of what we’re all about. We need volunteers for every part of what we do. You guys do a lot of physical activities. I imagine that you have to be careful because accidents happen. How do you handle safety concerns while you’re in an activity? Do you have medics on hand or standing by? How do you make sure everybody’s ok? It depends on the activity; how we’ll staff it. 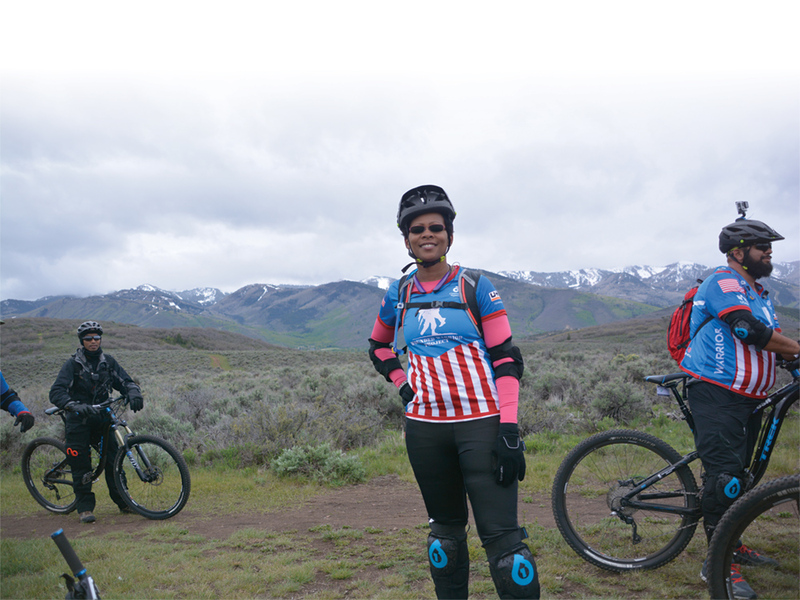 To give you some idea, the mountain biking, we have a volunteer EMT who rides with us because we sometimes go out in remote areas and it’s best to have somebody there immediately. The good news is that we have an incredible safety record. It’s mostly bumps and bruises that are very treatable, and our focus is on prevention. That’s done through every one of our staff members being trained and our volunteers go through a pretty extensive training process regarding protocol and safety. The idea is to prevent it. One added safety element is that we are right next to the hospital. Thankfully, we’ve never had to use it. Again, we have an incredible safety record for what we do. The last thing we want is to ruin somebody’s experience or having somebody getting hurt. So, bumps and bruises mainly. You’re busy with this a lot, but what do you do outside of the NAC when you’ve got some spare time? Well, that’s something I love about the NAC. Everything the NAC does, I love to do. I love the outdoors. Mountain biking, skiing, hiking—pretty much the protocol for Park City. Anything outdoors. I’d say mountain biking is probably my number one choice. You came from the Seattle area. I guess being out in the Olympics is a little bit different than being out in the Wasatch? Fewer banana slugs for one things. What brought you to the Park City area initially? We got introduced to Salt Lake—or Park City—in 1995. I was part of a team. I was working for Micron at the time; we built the Micron chip plant at Point of the Mountain in Lehi and we kind of fell in love with the Park City area. Then I took an opportunity to become an owner of a company in Seattle. We sold that company in 2005 and it really freed us up to say, ‘Where do we really want to live for quality of life?’ I got tired of the traffic and the rain in Seattle. We looked at a lot of different areas: Jackson; Bozeman; Sun Valley; Bend, Oregon; Park City. And just fell in love with Park City. It really offered everything we wanted for quality of life outdoors. And then you’ve got an international airport 30 minutes from here. What’s your favorite place to ride up here? There are so many good ones. I love everything along the Mid-Mountain Crest Trails. Deer Valley’s got some great trails, but I’d say probably Mid-Mountain Crest. And then anything that branches off from there. The Glenwild trails are a blast—especially right now. They’re the first to open up. Where was your favorite place to go in Washington? I loved the hiking all around Mount Rainer. I climbed Mount Rainer a while ago now and just the diversity and the beauty around that was incredible. Is there anything else you’d like to share before you go? I took a position with Big D Construction here in Park City and they are committed to give back to the community and especially the NAC, so I’d like to put in a little plug for them.